The staff members of Hall & Jones Funeral Home will guide your family in creating a meaningful ceremony to honor the life and memory of a loved one. A ceremony can be anything you wish it to be: simple or elaborate, traditional or unique. No matter how it's tailored, such a ceremony is an important step in recovering from loss. In a tribute video, your treasured family photos become the centerpiece of your loved one's celebration of life. We blend them with themed graphic elements and music, to create a one-of-a-kind memorial tribute video. 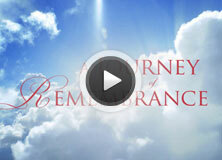 Shown at the service, your tribute video DVD then quickly becomes a keepsake for family and friends.